Farm Stand: Our Farm Market is full of all our own fruit and vegetables. We produce our own apple cider (fresh in mid-late September), and apple cider vinegar. We stock local products including Betty’s Bee Farm honey, Narragansett Creamery products, Providence Granola, Virginia Spanish Peanut Company, and other specialty products including locally made apple butter and other jams and Barden Family Orchard t-shirts. 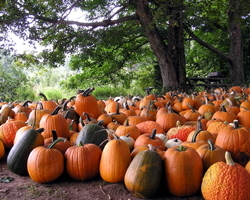 Farmers Markets: Coastal Growers Market Saturday, Aquidneck Growers Market Wednesday and Saturday, Hope Street Farmers Market Wednesday and Saturday, Pawtuxet Village Farmers Market, South Kingstown Farmers Market Saturday, Brown Farmers Market, Goddard Park and Pawtucket Wintertime Market. 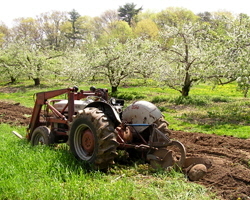 Pick-Your-Own Apples (20 varieties beginning September 1), Blueberries, Raspberries, Blackberries, Pumpkins. From I-295, take Exit 9 off I-295 for Rt. 6 west. Travel west on Rt. 6 for 2.8 miles. Continue west on Rt. 6 bypass for 0 .5 miles. Turn right onto Rt. 116 (West Greenville Rd.) for 0.9 miles. Turn left onto Pole Bridge Rd. for 0.7 miles Turn right on Elmdale Rd. Barden Orchard is on right.